When working in corporate video production, as the company evolves, you’re going to start working with agencies. At ASL, we work with all types of agencies: digital agencies, PR agencies, creative advertising agencies and everything in between. Due to the endless variables that come into play when putting on a production, a synergy between video producers and agencies proves invaluable to running a stellar project. Let’s walk you through the ins and outs of working with agencies so you can know what to expect. If you’re unfamiliar with agencies, it’s key to know how agencies are structured. In conjunction with finance and HR departments, most agencies we work with are made up of the account department, creative department and production department. The account manager is your direct line to the client. Usually the first ones bringing the project to the table, they notify everyone what the client desires, the timeframe sought; and hopefully, the budget parameters in place for achieving their goals. Oftentimes, account managers and their clients do not have the answers, but rather come equipped with questions and are relying on you, the production company, to help them guide the client through the video production process. Showing that you can be flexible to a clients ever-changing list of deliverables and needs without wasteful spending will endear an account manager to you. Being available and having answers to account questions in a timely fashion is the key to fostering a lasting relationship. Strong account director relationships can definitely help grow a production company’s business by becoming the first team on the calling list when a client presents them with a video production project. Our Tums football promotional video is a good example of a green screen video project brought to us by an agency account manager. As the producer, your job is to bring a vision to life and deliver an amazing product. When working with agencies, that vision will likely come from the creative director. Less interested in the budgeting and nitty-gritty and more in the originality, the creative director will expect the production team to know how to bring their vision to life. If an idea requires a drone shot, a MoVI, or a fisher dolly, the creative director typically relies on the video production team to know the proper tool and personnel to execute. Creative directors want accolades, they want to push the envelope of what’s being done, and if you can produce something that delivers on that, you’ll have done them well. 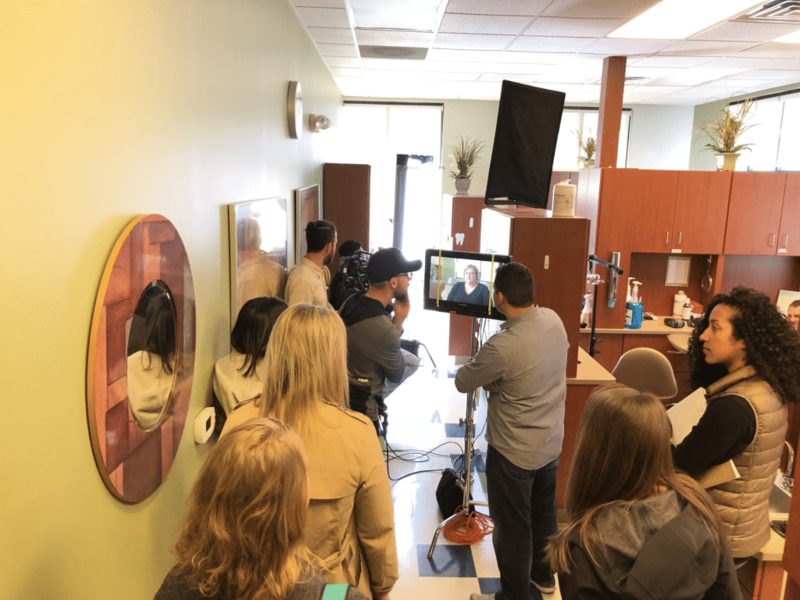 Our experiential marketing video with Aspen Dental was heavily driven by an agency creative director’s vision and it was our job to bring all aspects to life. Agency producers are there to help guide the account and creative departments when selecting the production vendor. They will gather director treatments for the agency and will often recommend which director/production company is the best fit for the project. After the vendor has been selected, they are often a liaison between all departments, letting production know what changes to the scope/vision are occurring and how this will affect your budget and deliverables. A good agency producer wants the selected production company to succeed and can often suggest their own resources/network talent should the production company hit any roadblocks. We’ve often found the best agency projects are when the agency producer feels like an extension of the production company and not merely an agency rep who is only there to make sure releases are signed. 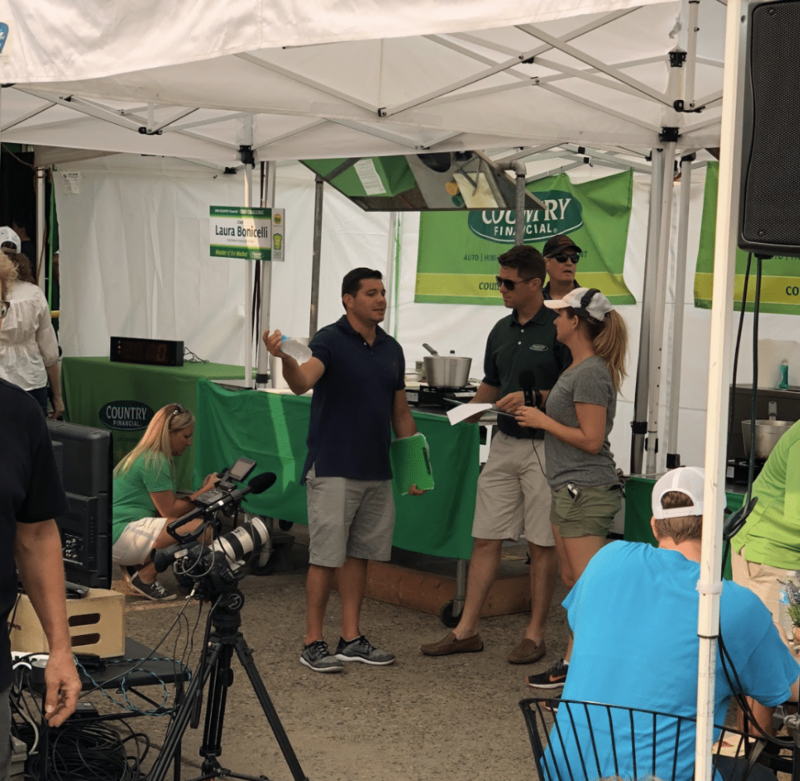 Our livestream video production for COUNTRY Financial at the Minneapolis Farmer’s Market was spearheaded by an agency producer who worked as a member of our team while we were on location in Minnesota. Speaking of releases, paperwork is a always a major aspect when working with agencies. The agents are the fiduciary choice of their clients. As such, it is the agency producer’s and the business affairs department’s role to make sure all rights and clearances are signed and sealed with all the subsequent legal paperwork in place. The agency producer typically works hand in hand with the business affairs department; thus, maintaining a strong relationship with them can lessen the burden on a production company immeasurably. They’ll be the ones to help make sure funds are released upfront or in a timely fashion. In return, it’s important for production to make sure everything is above board: that releases are signed and filed and eyes are on set looking out for any potential red flags. Understanding each member’s role is very important, and leaving them satisfied is essential to broadening your agency relationships. We’ll talk more about how all these roles translate to a shoot set in a later blog.